– do NOT put it in the freezer. – If you’re too clumsy, you might consider buying a drying pouch, which is especially made for mobile phones that have been damaged by water. After doing all the things we’ve told you above, let the device dry out for a day or two and use another mobile phone in the meantime. After 1-2 days, you can insert the battery into the mobile phone and turn it on and check if everything is working as it should. Check if the speakers are working by playing some music, test the touch screen’s responsiveness and call someone to make sure that the MIC is working without any problems. If the mobile phone doesn’t turn on, try charging it and see if that helps. If that doesn’t work, then the battery may be broken and you will have to let it dry out for a few more days or even replace it. At the same time, there is a possibility that the mobile phone is damaged and this is why we suggest you to use the battery on another similar mobile phone model and see if it works on it. If it’s working on the other mobile phone, then your mobile phone is most likely broken and you will have to bring it to a repair shop to be checked by a professional. 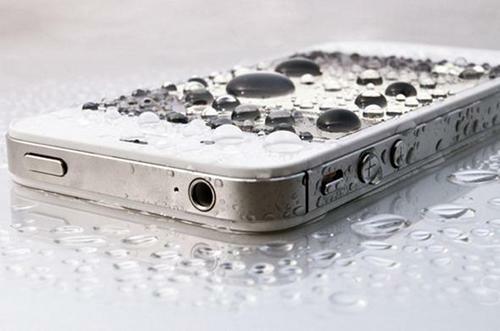 In the future, we suggest you use a water resistant case to avoid problems like this. So, if you are going to the beach or to swim near a pool, we suggest you put your device inside the waterproof case and you will be sure that your device will not get any water or sand inside it. It is good to know that there are also mobile devices that are waterproof such as: Moto X (2014), Moto G (2014), Xperia Z3 Compact, Xperia Z3 and Samsung Galaxy S5 Active. 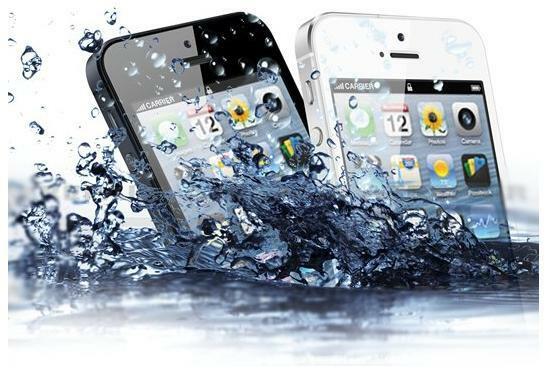 For these devices you will not need a water resistant case, but it is also good to know that they usually survive up to 1 meter for only 30 minutes, which means that you will not be able to scuba dive with a water resistant mobile phone. Hopefully by using these steps you will save your mobile phone device that you’ve dropped by accident in the water. If you don’t manage to save it, then it means that it may have spent too much time in the water and the liquid has made its way inside the device. Have you ever dropped your mobile phone device in the water? Did you manage to save it or it just died because you’ve made a mistake such as the ones we’ve mentioned to AVOID doing? Tell us if you’ve managed to save a mobile phone by using this article!